I’ve had a small obsession appear these last few weeks. I’ve become head-over-heels in love with chunky cuffs. 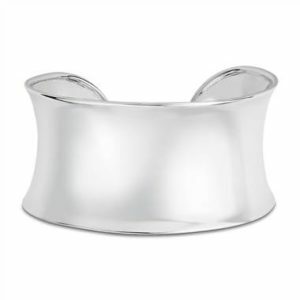 Right now there is nothing I love more right now than seeing a sleek turtleneck paired with a simple, but chunky cuff. Furthermore, the look will carry you from the winter doldrums straight through the summer. Cuffs are versatile in that they look amazing when used as a standalone piece. If you love sleek minimalism, you can create an easy red carpet look with a Helmut Lang evening gown, a ponytail, a pair of studs and a gold cuff. Easy, classic and stylish all at once. 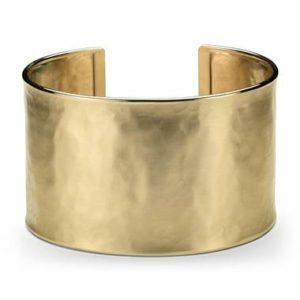 If minimalism isn’t your thing, have no fear, cuffs are made to pile on! They key to mastering the layered look with cuffs is to pair them with bangles or smaller cuffs to break up the heft. Pair the look with a stunning Moroccan caftan and you’ll look like you were summering in the South of France in no time. When one imagines cuffs it can be easy to picture them and sleek, but bulky. However, you don’t have to eliminate this look altogether if you prefer delicate jewelry. 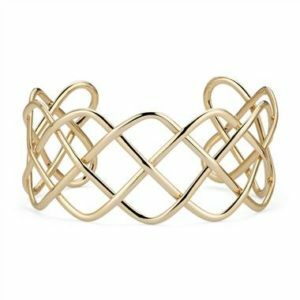 Not all cuffs are created the same and we’ve seen everything from laser-cut cuffs designed to mimic lace to cuffs designed using whisper-thin bands of platinum. Yes, you dainty jewelry lovers, you can enjoy this look as well! Ok, so you should already have a list of cuff you plan on purchasing this year. From enamel, to chunky to sleek to wearing them alone or stacked, there isn’t a cuff or look that won’t fit your personal style. Now, if you’ll excuse me, I have some shopping to do!